WELCOME HOME TO YOUR PEACEFUL ESCAPE. Located in the Stillmeadow 1 subdivision in Oakhurst, you are located close to town, Bass Lake, and on your way to Yosemite. 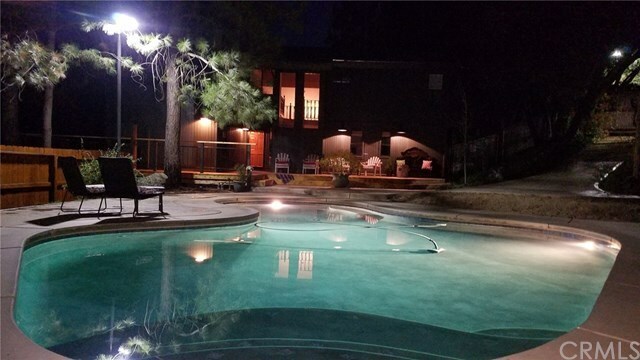 Enjoy the panoramic mountain views on your property with a beautiful pool, BBQ area, and landscaping that will make you feel at home with your own park like setting. A brand new cedar deck accents this surrounding oasis for you and your guests. The home is a 2804 square foot custom with a master bedroom on the main floor and four bedrooms upstairs. A detached two car garage has a second level bungalow that is a bonus space. Overall there is over 2.5 acres of privacy nestled among the trees, and plenty of space for an RV, boats, and toys! Contact your realtor today to see this wonderful mountain escape.